Looking for a modern mirrored TV stand, media chest or entertainment console that reflect your unique sense of style? We are bringing the bring latest designs in mirrored TV stands from top brands to fit your specific needs. 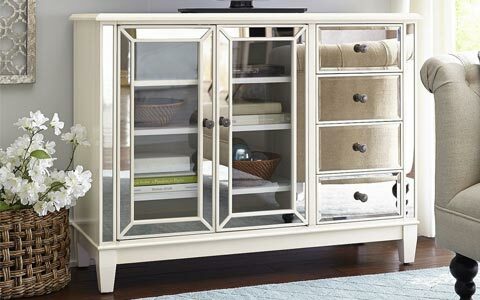 These elegantly designed mirrored furniture items can easily catch everyone's eye when well-placed in your living room. 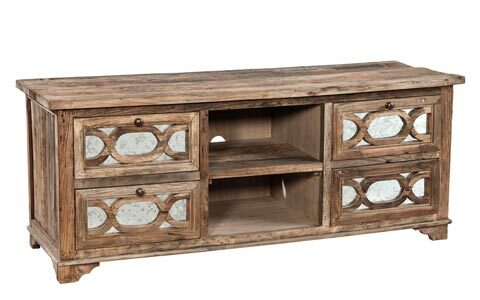 Does your living room look sparsely furnished and could do with an extra piece of furniture? Perhaps you can get a mirrored TV unit to fill up the empty space. 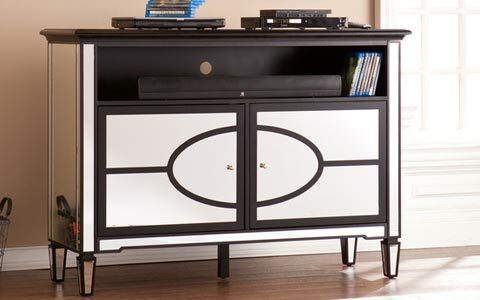 This is one of the most stylish furniture units you can use to enhance how your living room looks. The mirror glass surface is part of what makes this TV stand so eye catching. To give the mirror its signature look, manufacturers process the glass in a number of ways. The result is a range of mirrors that include the plain mirror, the colored mirror, and the patterned mirror among others. Each of these types of mirrors is unique and aesthetic in its own right, and you’ll need to engage your stylistic instincts to determine which look works for you. A different way to do it would be to consider the general decor in the room where you’ll place the TV unit, then choose the mirror glass that best complements this look. 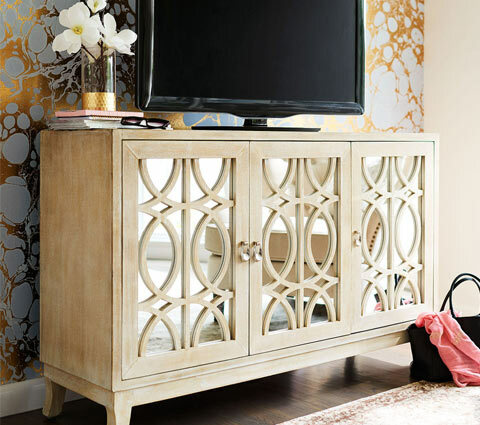 Mirrored TV stands can be placed next to a mirrored console to give the mirrored look more prominence in the room. 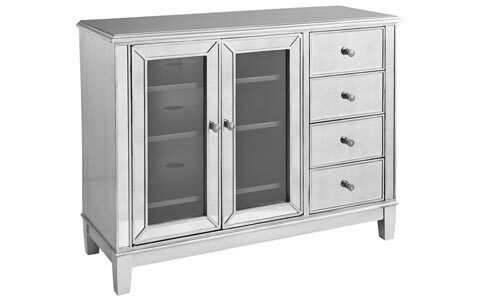 But even when it’s the only mirrored furniture in the room, the mirrored TV unit will exude enough brilliance to set the tone and ambience in the room. Apply the general furniture purchasing principles when buying your mirrored TV stand, the primary one being that you ought to pick a size that is right for the room. A small living, family or TV room only needs a compact mirrored TV while bigger rooms should be furnished with similarly bigger TV units.